Steve Guttenberg is an American actor and comedian who rose to stardom with his role as Carey Mahoney in the Police Academy films. His other film roles include Three Men and a Baby, Diner, Short Circuit, The Big Green and Cocoon. 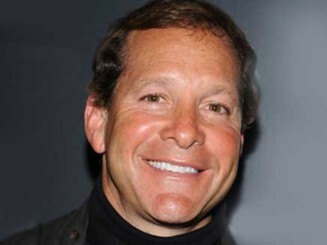 He was born Steven Robert Guttenberg in Brooklyn, New York, to Ann and Stanley Guttenberg. He belongs to Austrian Jewish and Russian Jewish descent, and has two sisters. He was previously married to model Denise Bixler from 1988 to 1992. He has been in a relationship with WCBS-TV reporter Emily Smith since 2014, with whom he got engaged in December 2016. Siblings: He has two sisters. *His ancestry includes Austrian Jewish and Russian Jewish. *He made his feature film debut as an extra in the 1977 feature Rollercoaster. *In 2008, he dated Anna Gilligan.